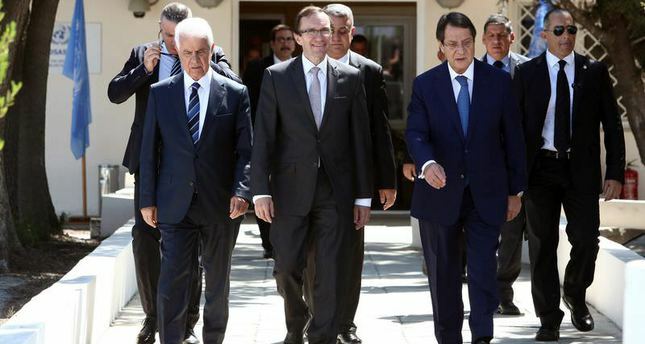 UN Special Adviser on Cyprus Espen Barth Eide said on Wednesday that good efforts are on the way and expressed the view that it will not take too much time before the leaders in Cyprus resume the talks aiming to solve the Cyprus issue. Answering journalists’ question about the talks getting back on track, he did not rule out the possibility of the talks resuming in March. The current phase of talks came to an impasse when Turkish Cypriot leader left the negotiating table, after a decision passed by the Cypriot Parliament for a brief reference in schools of the 1950’s referendum on union with Greece, claiming this indicates a shift in the Greek Cypriot side’s goal for a federal solution. Eide met Wednesday for an hour with President Anastasiades, after meeting with Turkish Cypriot leader Mustafa Akinci in an effort to keep the momentum and help the leaders get back to the talks. “There’s still some work that needs to be done but good efforts are on the way and I don`t think it will take too much time before we can again see the leaders together.” Saying that he didn’t have a date or a particular piece of news on exactly when and how, he pointed out that promising efforts are on the way. He also said that there’s not that much time available.